BAGHDAD (AP) — A bomb exploded outside a Sunni mosque in Baghdad late Saturday, killing at least 13 people leaving prayers and extending a daily wave of violence rippling across Iraq since the holy month of Ramadan began. Police said the Baghdad blast went off around 10 p.m. near the gate of the Khalid bin al-Walid mosque in the capital's southern Dora neighborhood, a largely Sunni Muslim area. It struck just after special late-evening prayers held during Ramadan ended. 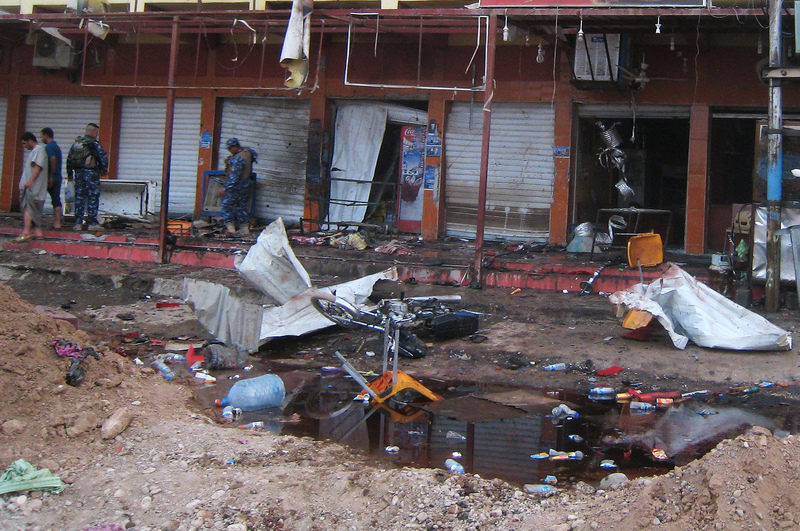 The pace of the bloodshed has picked up since Ramadan began Wednesday, including a suicide bombing at a coffee shop in the northern city of Kirkuk late Friday that killed dozens. Ramadan death toll is now at 181.